Engineers of the future from schools across Darlington have enjoyed a thrilling day at QE. Taking part in the College’s annual “Design and Race a Hovercraft” day, the pupils were enthused about engineering by building a working hovercraft which they then decorated and raced in an exciting competition against other teams. Working with J&J Projects for Schools, QE’s competition enables students to obtain an insight into the variety of careers available within engineering and the importance of STEM (Science, Technology, Engineering and Maths) subjects in both school and further education. The brief required teams to design and build a working hovercraft, powered by a leaf blower, from insulation board and plastic sheeting. They also had to calculate the dimensions and proportions of the vehicle, in addition to considering the weight of the pilot and decoration. 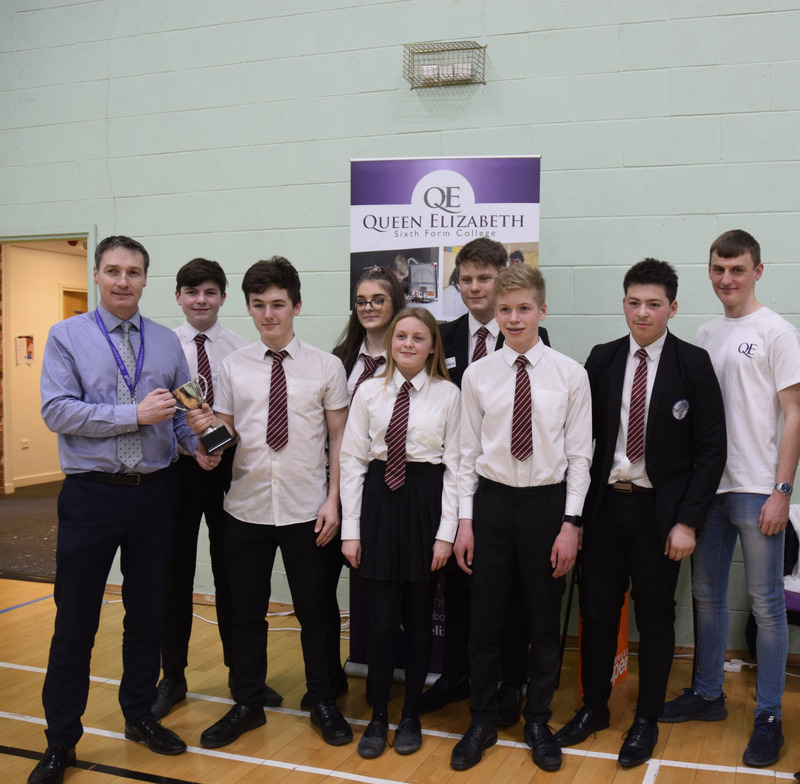 Students from QE’s Future Engineers Scheme mentored and worked with the pupils before all hovercrafts competed against each other in races whilst being judged on different criteria. The winners were Hummersknott Academy with Education Village finishing second and St. Aidan’s Academy and Longfield Academy claiming joint third place. All of the pupils participated with real enthusiasm and were a credit to their schools. Reflecting on yet another successful event, Joanne Crowther from J & J Projects for Schools comments: ‘Our hovercraft challenge has created a real buzz for students. It helps them to engage, improve their teamwork and communication skills, and gain an insight into engineering as a future career’. Laurence Job adds: ‘Engineering is a key employment industry, therefore we are delighted to keep the project going. It provides a great opportunity to spark an interest in young people and help them to develop the skills required to become engineers of the future’.